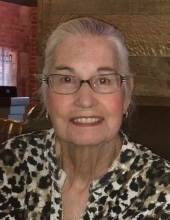 Lura Christine Hines, 74, of Creighton, Missouri, was born July 5, 1944, the daughter of Robert Parker and Edith Tuttle Parker in Raton, New Mexico. She departed this life peacefully at home on Thursday, March 14, 2019. Chris graduated from Laramie High School in Laramie, Wyoming in 1962. She then attended the University of Wyoming for a year. On May 25, 1963, she was united in marriage to Elmer Hines in Laramie. They lived in Foxpark, Wyoming until April 1966 when they moved to Creighton. Chris and Elmer became parents in November 1966 when Lura LeAnne was born. Their second daughter, Lisa Annette, was born in December 1969. In 1976 Chris decided to return to college and enrolled in Central Missouri State University in Warrensburg, Missouri. She earned her Bachelor Degree in Elementary Education in May 1979 and her Masters in Special Education in 1984. Mrs. Hines taught 5th grade all but two years of her 25 years at McEowen Elementary in Harrisonville, Missouri. After her retirement in 2004, she was a substitute teacher for the Sherwood Schools until 2014. Chris truly enjoyed her work as an educator. She made learning fun and instilled in her students the importance getting an education. Chris was a social person and could strike up a conversation with anyone.She loved to read and shared that passion by giving books to and reading with the young people in her life. Chris’ most cherished role was being Gram to her granddaughters. She treasured time spent with Jordan and Melaina and was so proud of them and their accomplishments. Chris spent many years on the Creighton City Council, was an officer of the Trinity Lutheran Cemetery Association, a member of the Creighton Community of Care and the local Red Hats club. She had a firm faith in God and was a member of the Trinity Lutheran Church in Creighton. Besides her parents, she was preceded in death by her daughter, Lisa Salmon on March 1, 2013. Chris is survived by her husband of 55 years, Elmer Hines: daughter, LeAnne Salmon and husband Terry of Creighton: two granddaughters, Jordan Lee Salmon of Overland Park, Kansas, and Melaina Christine Salmon of Creighton: a brother, Robert “Bob” Parker and wife Shirley of Prosser, Washington: several nieces and nephews, other relatives and many friends. Cremation. A Celebration of Life Service was held Wednesday, March 20, 2019 at the Dickey Funeral Home, Garden City, Missouri. The family received friends Wednesday, March 20, 2019 at the funeral home. Family suggests memorial contributions may be made to Serenity Care Hospice or the Trinity Lutheran Cemetery Association. To plant a tree in memory of Christine Hines, please visit our Tribute Store. "Email Address" would like to share the life celebration of Christine Hines. Click on the "link" to go to share a favorite memory or leave a condolence message for the family.